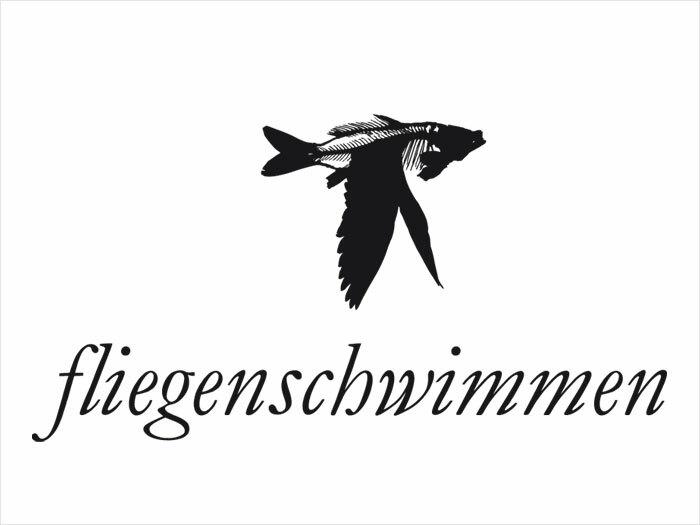 "Fliegenschwimmen" represents the desire to fly, an act that is not possible underwater. The sense of freedom, which has been confined. «Fliegenschwimmen» dares to step beyond the tacit boundaries of the formats prescribed to video-art. A medial complex and elaborate installation consisting of 24 channels brings a fresh approach to the prevalent vedute of video- and cinema projections. Old CRT displays meet the computer era by means of digital feed-in and high-resolution graphical material. The play with the binary oppositions is projected also through the content, namely the confrontation of opposing emotions. The imagery emerging from a combination of the water, the feelings expressed and the flickering on the channels composes the poetry of «Fliegenschwimmen». The central motive of this video work has emerged in close cooperation with the feature movie «Der böse Onkel» (The Wicked Uncle) by Urs Odermatt. The video installation «Fliegenschwimmen» convincingly illustrates a dramatically emotional black-and-white sensation through multifaceted shades of gray. It focuses on the coming-of-age of daughters, the pursuit of freedom from mothers and the conflicts associated with this struggle. The media-artist Claudia Waldner`s visual world of imagery, successfully interwoven with the stylistic devices of Odermatt`s language, creates a morbid-poetic world view.